Lewis and Clark marveled at the beauty as the went down the Ohio River to Fort Massac and Cairo before going up the Mississippi River to Fort Kaskasia and on to present-day Hartford where they would winter at Wood River above St. Louis before beginning their epic journey to the Pacific Ocean. Beginning at Equality, today’s visitors can follow the Ohio River Scenic Byway from the Indiana border south to the tip of Illinois. The Ohio River Scenic Byway Visitor Center at Equality east of Harrisburg on State Highway 13 is a good place to begin. Visitors can get maps, brochures, and routing information to follow the Byway along Forest Service, County, and State routes or take direct routes to specific sites. Following the Byway they can visit nearby Shawneetown site of one of the state’s oldest brick bank buildings. 21 miles southeast from Harrisburg on Highway 145 and Rt. 34, or 13 to Rt.1 to Karber’s Ridge Road, leads into the Shawnee National Forest and the Garden of the Gods Wilderness Area and the Rim Rock and Pounds Hollow Recreation Areas. The trail at Garden of the Gods offers breathtaking scenic vistas that stretch to the horizon. 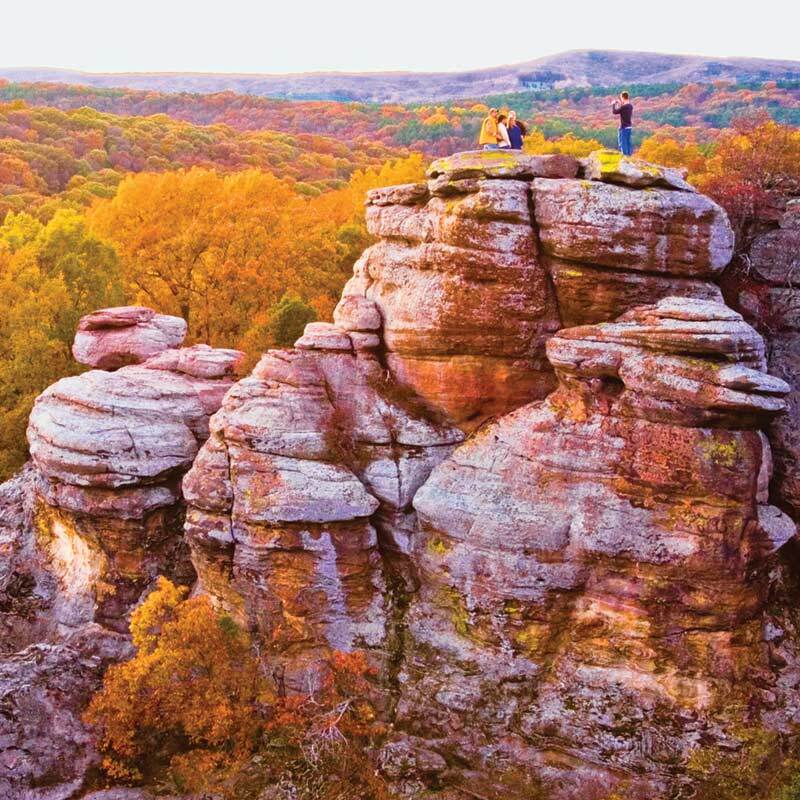 The upper Rim Rock National Recreational Trail is equally awesome taking visitors around and on top of rock escarpments. The lower trail is as spectacular, taking visitors to massive bottomland hardwood trees and Ox-Lot Cave, a huge rock outcropping. The areas blooms each spring in a spectacular show of woodlands flowers. The fabled Cave in Rock on State Park Road #1 to the Ohio River has been a hide-out for outlaws and river pirates since Lewis & Clark’s day. The famed site is the location of the Cave-In Rock State Park Lodge and Restaurant. The park offers camping and hiking plus boating on the Ohio River. The Byway heads west to nearby Tower Rock Recreation Area, then on to the Rose Hotel Historic Site and the Civil War era iron smelting furnace near Rosiclare. 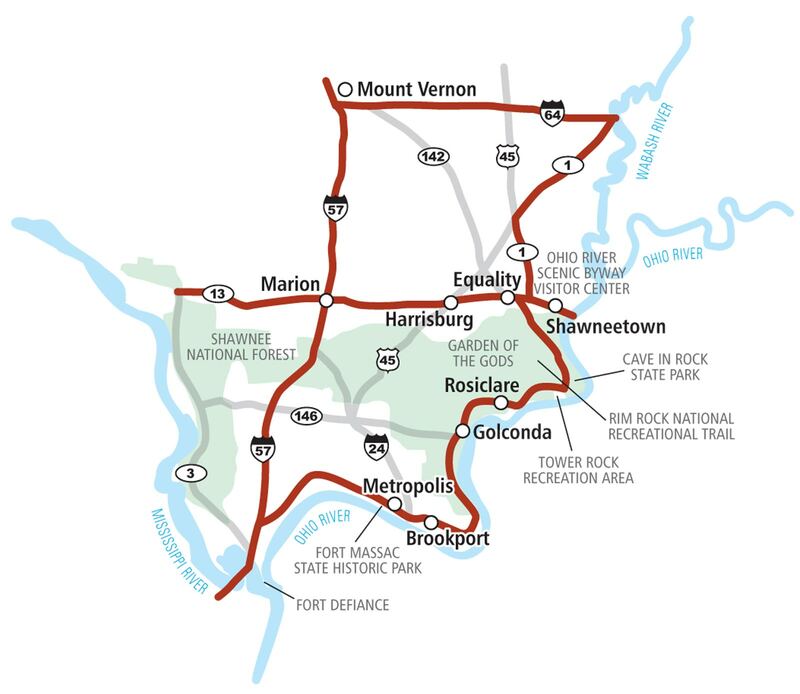 The Byway continues south on Route 146 to Golconda to the Golconda Marina on the Ohio. Near-by is Dixon Springs State Park and Buel House, the two-story log home built in 1837 remembers the days when its owners fed the Cherokees heading west on the Trail of Tears. The Byway continues south to Brookport and the Kincaid Archeological Site where ancient Native American tribes built houses and temples on a large flat-topped hill. The Ohio River Byway continues west to Fort Massac State Historic Park as it appeared in 1803. Lewis & Clark reviewed the Corps here after they came down the Ohio River by keelboat on November 11, 1803. George Drouillard, famed French-Canadian hunter and scout, was also there and they quickly signed him on as their scout. 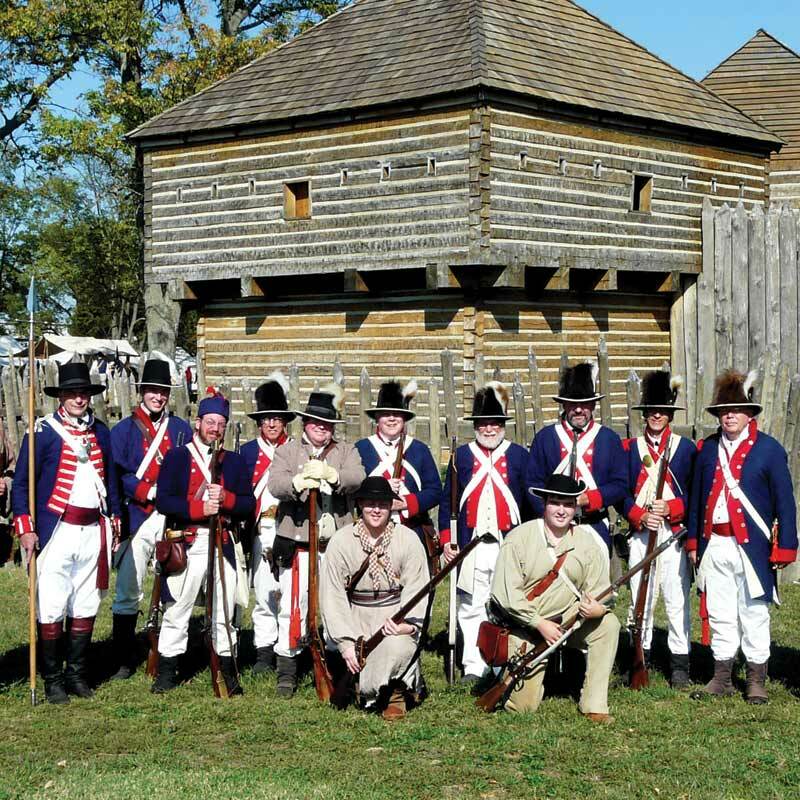 Byway travelers will enjoy the visitor center, museum and artifacts collection, going biking on the George Rogers Clark Discovery Trail, going to the dock and boat ramp to fish and boat on the Ohio River, and attending events year-round, including the Fort Massac Encampment in October. 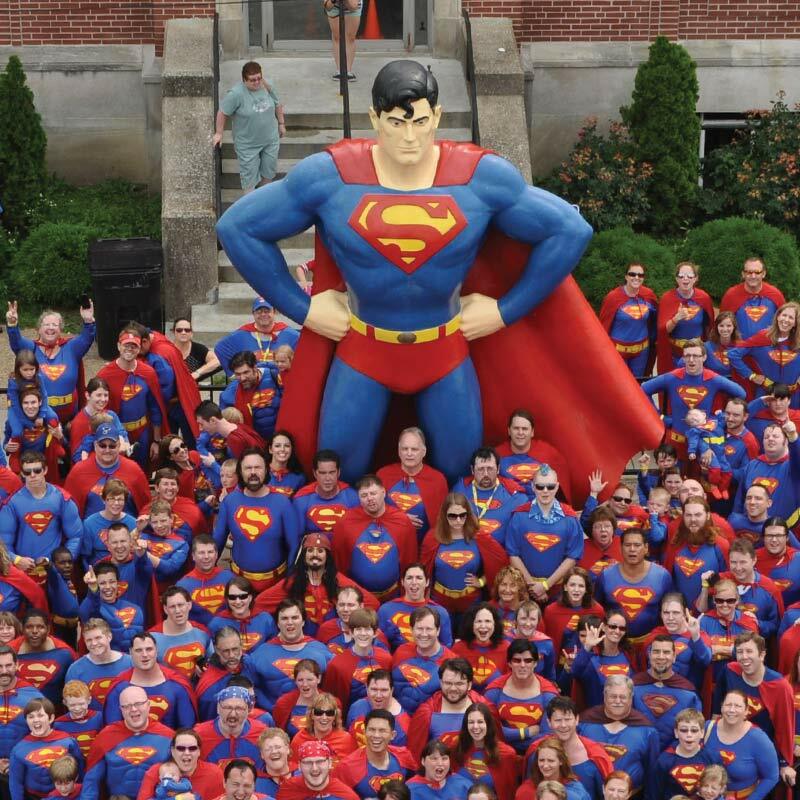 Superman awaits at Metropolis where visitors can take “selfies” beside the 16-foot super hero. The nearby Metropolis Murals portray the heritage of the city. The Super Museum features the costume worn by the original TV Superman George Reeves. To add to the fun, America’s Hollywood Museum has life-sized figures and rare celebrity collectibles, costumes, and posters. The Mermet Lake State Fish & Wildlife Area, the Cache River Natural Area, and the 45-mile Tunnel Hill State Hike/Bike Trail are north of the Byway as it heads west and south to the Mound City National Cemetery and the African American Museum. Then it’s on to Route 137 and Fort Defiance Park where the Lewis & Clark Expedition spent six days getting accurate readings on the river at the Ohio’s confluence with the Mississippi. 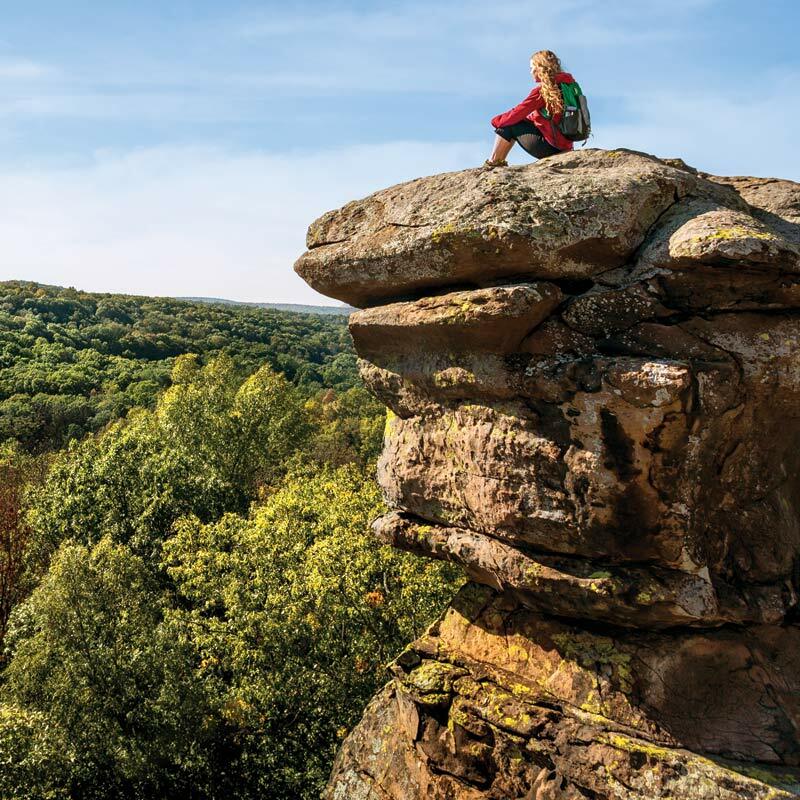 Scenic vistas at Shawnee National Forest abound all around on the drive to Vienna and the Trail of Tears Memorial Park remembering the days when the Cherokee Nation came this way to be re-located west of the Mississippi River. At Marion the Crab Orchard National Wildlife Refuge and nearby lake Egypt host waterfowl, native fish and various wildlife species, including migratory birds, bald eagles, wild turkeys and even bobcats. The refuge also has miles of scenic trails as well as picnic areas, fishing piers and boat landing sites. Mount Vernon visitors will also be moved by the Lincoln Statue at the Applegate Courthouse. The city also features the Cedarhurst Center for the Arts and the Jefferson County Historical Village.